How to Stop your Child Waking in the Night! Walking around in a daze? Feel during the day you are in a permanent cloud? Heading off to bed at 9pm knowing you are going to be up half the night? .... You are not alone. It is emotionally and physically draining to be deprived of sleep and the simplest of tasks can seem the largest of challenges when you are tired.... and it is not just you who is feeling this way – it is also your child! It is a fact that Children only grow physically and mentally when they are sleeping. Kathryn Mewes has been helping children and parents for 20 years with a variety of challenges that can occur within a family household. She has a strong ethos, and a 100% success rate, that it takes 3 consecutive days to make a fundamental change. Mewes has children sleeping through the night in just 3 days! “You cannot have any expectations of your child if they are not sleeping soundly through the night. Focusing on eating and behaving will become a huge challenge for them, and potty training – forget it!” Mewes says. •	Parents who rock or feed their children to sleep several times a night. •	Parents who remain in their children’s bedroom or outside the door until they have fallen asleep. •	Children who are sleeping in their parent’s bed. •	Families who start their day at 5am, or earlier! •	Parents who are getting up several times in the night to replace the dummy. “It doesn’t have to be this way.” Says Mewes. She has such a strong ethos that she has written down her methods and published a book entitled ‘The 3 Day Nanny’. The book contains 3 day plans to follow to help and guide your child with sleeping, eating, behaviour and potty training. There are different plans depending on your child’s age. The book caters for children from 6 months to 6 years old. Not only does she have a book she also provides a bespoke service where she will enter your home and help and guide you practically. She works with children from 6 months to 10 years old. Together you can work as a team and the result is after 72 hours the house is at peace through the night!!! Case Study: Mother with daughter’s age 1 and 2.5 years old. Both terrible sleepers! Mewes helps around 50 families a year with their children. Below is an encounter with her told through the eyes of the mother who was seriously deprived of sleep! My Situation before Kathryn Mewes arrived! I love my children more than anything else in the world. They are the most precious greatest blessing but if I'm honest there were moments when I would find myself at a complete loss of what to do next, stuck and frustrated even. I had never anticipated motherhood to have moments like that. I was trying to do the best by my children, balancing discipline with love but I had lost control and I was exhausted. I was in a situation where my girls would both wake several times in the night. I would pat my 1 year old daughter’s back until she fell to sleep and then quietly leave the room. This was done several times from 7pm onwards! My 2.5 year old daughter has a perfect bed time routine but I have to remain standing outside her bedroom door until she falls asleep. This could sometimes be quite a lengthy process. I would eventually arrive downstairs close to 8.30 / 9pm. My evening would be short because I would want to go to bed due to the night ahead! It wouldn’t be long before I was shouted for because I was no longer standing outside her room! So many times I have thought of asking for a professionals help and guidance but I have always been put off by the thought of someone else being in my home or potentially judging me, and my family. I wanted to solve my own problems. I didn’t like the idea of my kids being confronted with a stranger at night time – that would be enough to make me scream I think! My husband and I met Kathryn for a 90 minute consultation. My mother-in-law was involved due to the amount of time she spends with my children. We found Kathryn to be enthusiastic and very positive. She reassured us that she was going to provide a service to cater for our individual family. It was very clear to see that she was far from judgemental when she said “I have no right to judge you as parents.” states Mewes “You have achieved something far greater than me. I am not a parent but I see on a weekly basis how hard it can be.” Kathryn is known as the 3 day nanny but she was very honest and realistic in saying that she may not need 3 days – the chances were she would need less! She arrived and instantly bonded with the girls. My elder daughter is not easy to win over but she was soon playing and laughing with Kathryn. The evening arrived and we followed a bed time routine together. Kathryn was very supportive and encouraging that I was going to be able to settle the children to bed. She was not pushing me away. She was encouraging me to become part of it. I loved the fact that she was teaching me as well as the girls. The unique element of Kathryn’s service is that she works with you through the day and guides you in other areas. It is true what she says. The day and the night mirror one another... Broken sleep at night = challenging behaviour in the day. We worked together on my daughter’s challenging behaviour and by the time Kathryn left 36 hours later I felt so empowered as a parent. I had gained control and had a far better understanding of my children. Kathryn seems to balance direction and authority with being nurturing and kind – and the best thing is that she makes you feel like you did it all yourself! For anyone out there deprived of sleep I suggest you give her a call. She is caring over the phone and reassures you of any questions you may have. It is like having a holiday in your house if you are lucky enough for her to come and stay with you. We now have a silent house at night and it is all thanks to Kathryn. It is so important to look at how you manage your child during the day before you start to think about guiding them to sleep through the night. It will not work if you find yourself allowing your child to ‘do as they please’ in the day, rarely saying ‘No’ to them in the fear that they may tantrum. You cannot always say ‘Yes’ in the day and then be saying ‘No’ at night. Children need to see continuity in your parenting. You will find that if you are able to take control during the day and develop structure and systems into your child’s routine they are more likely to respond when you are firm and clear about the bed time routine and the night waking. Mewes’ Guidelines on how to guide your Child to Sleep through the Night. •	Firstly, ensure that you have structure and control during the day. Your child needs to see you saying ‘No’ to things at times and acting accordingly if they decide to tantrum. Your child needs to respect your decisions during the day in order to respect you at night time. •	A clear and concise bedtime routine needs to be established. •	Explain to your child ( or baby) that you are changing the routine and tell them that night times are for sleeping and you are not going to be seeing them in the middle of the night anymore. You will find that when you hear yourself saying this you will start to believe it. It is your own sense of empowerment as well as preparation for your child. •	You need to be aware of your child’s ‘window of tiredness’. If you put them to bed over tired this can be as hard as putting them to bed too early. •	Once you have said ‘Goodnight, see you at breakfast time’. You need to mean it and believe it. •	Confidently walk out of their room pulling the gate / door closed or partially closed behind you. 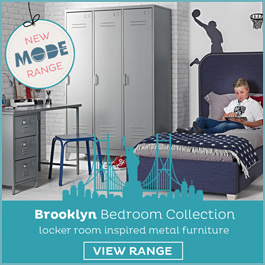 •	Ensure the bedroom is dark and is not over stimulating for your child. If your child wakes and can see activity around him he will start to think and want to start the day. This is often a reason why so many children start the day at 5am. There is too much light coming into their room. You are not making your child shout. They are choosing to do so. They will stop when they choose. Many families will have bought a black out roman blind or roller blind but the light will still come in from around the edges. Sprinkle water over the panes of window glass and press sheets of foil to the windows from the inside. This will stick and remain there for several weeks. Cut the foil close to the frame of the window and this will block out 100% of the light. Mewes states she never travels on holiday without her kitchen foil! •	How long would you leave them to shout? You do not want to leave your baby / child if they are becoming so frustrated it appears that they are not going to calm down. Mewes explains to parents that children tend to have 7 levels of volume and at number 5 is when they are shouting as loud as they possibly can. When they are shouting at this volume you need to listen for the pauses, the seconds when they stop and breath and think. For as long as you hear these pauses do not enter the room. If the number 5 shouts start to all join up and there are no pauses you need to enter the room and reassure them as quickly as possible and then leave the room again. The shouting will start again but the pauses will arrive sooner. It is so important to realise that the more times you enter the room, the more frustrated your child becomes. Don’t keep interrupting them when they are learning something new – how to self settle to sleep. •	What if they make themselves sick? You are not alone, many children will shout and make themselves sick. This is something a child will continue to do if you react to it. Plan ahead and have spare pyjamas ready and bedding ready to change the bed at high speed. Enter the room and do not say a word. If your child talks simply ignore them. Do not get involved in conversation. Change their pyjamas in the dark and change the bed asap. Guide him back to bed and repeat the routine “Goodnight, I love you. See you at breakfast time.” Confidently walk out of the room. Continue with this until he ceases being sick. •	How long before she will be sleeping through the night? Follow the 3 day plan in the book and it will take 3 consecutive days to make the change. Start on a Monday and your house will be all quiet at night by the weekend! •	Do I always have to put them to bed or can someone else do it eventually? 10 consecutive days of you putting your child to bed and then they will be relaxed enough to let someone else do it. Remember that children take comfort in routifne and continuity. Whoever replaces you at bed time needs to follow the same system. •	Will everything come undone if we go on holiday? If you manage to train your child to sleep through the night you will be able to do this again if the routine comes undone for some reason. When people go on holiday they will return to a workload at their desk. Your job is no different. You might need to retrain but by this stage you will know exactly what you are doing and everything will be back to normal after a maximum of 3 consecutive days. •	What happens to the routine if they become sick / un well? When a child is unwell and they are in pain we give them a pain killer such as calpol. You then find that they generally want to sleep. Illness exhausts them. You can still read them a story and put them to bed. If you are concerned you can set your alarm through the night to check on them or have the monitor on full volume. 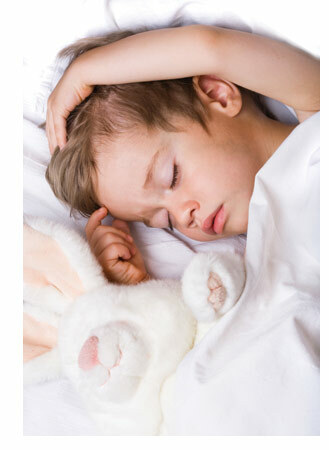 It is very rare that a child will need to sleep in the master bed, especially if they are running a temperature. If the illness is more serious and they do need to share your bed this is fine. Once they are all better you can return to your old ways and if they challenge you simply remember to remain strong and consistent – it only takes 3 days! For further knowledge on Kathryn Mewes 3 Day Plans purchase her book from Amazon ‘The 3 Day Nanny’. Kathryn Mewes provides a bespoke service. For further information go to www.bespokenanny.com or call direct on 07787 821525.